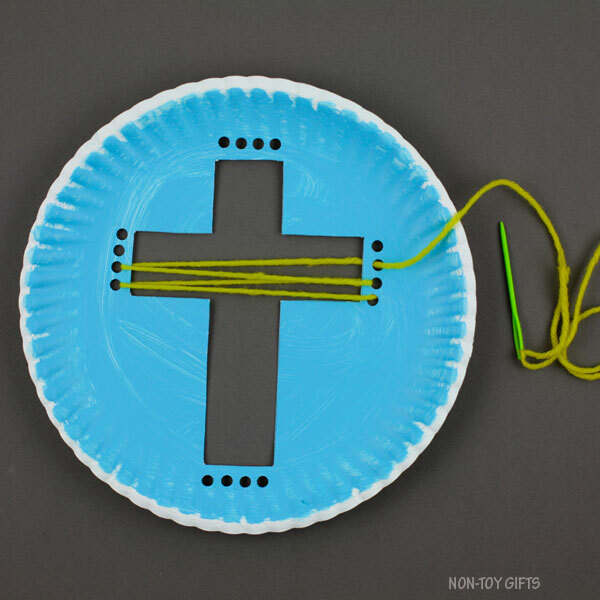 We love using yarn for our crafts and because we just started working on our religious Easter craft collection, I thought we might try a paper plate yarn cross craft. 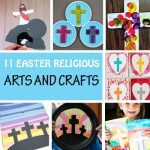 It is such a fun Easter craft to make with preschoolers and older kids. 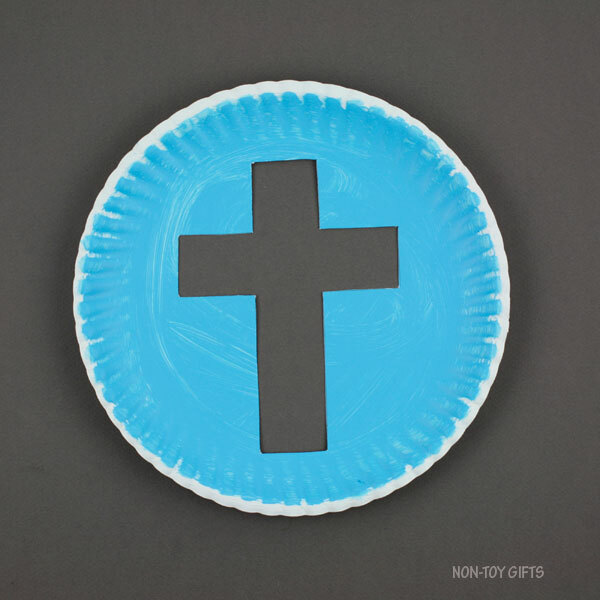 They will practice their fine motor skills and see how it feels to handle a plastic yarn. 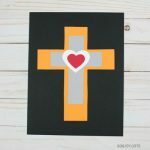 What a great craft to get them excited for future sewing projects. 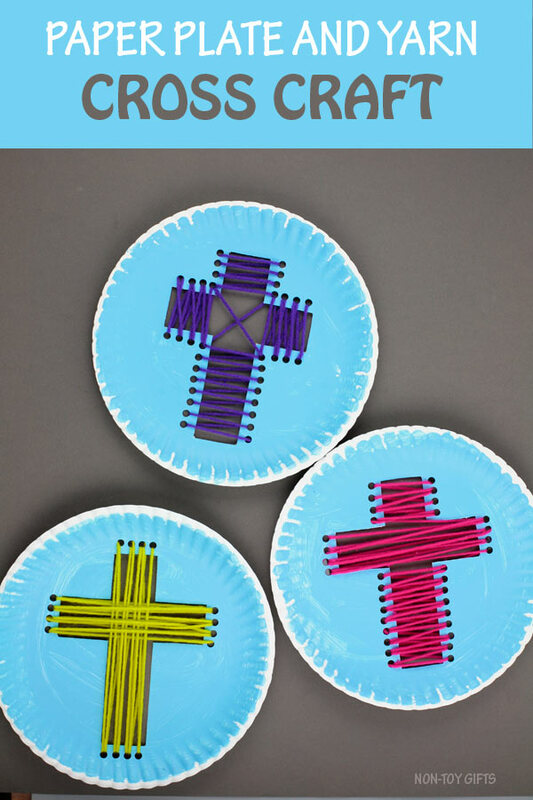 While this paper plate yarn cross craft makes a fun Easter Sunday School project, you can also try it with your little on at home. 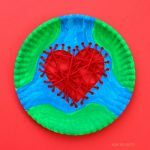 If you want to try more paper plate crafts, here is our collection. 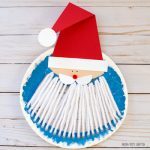 Or if you want to explore more yarn crafts, we have plenty of easy ideas here. 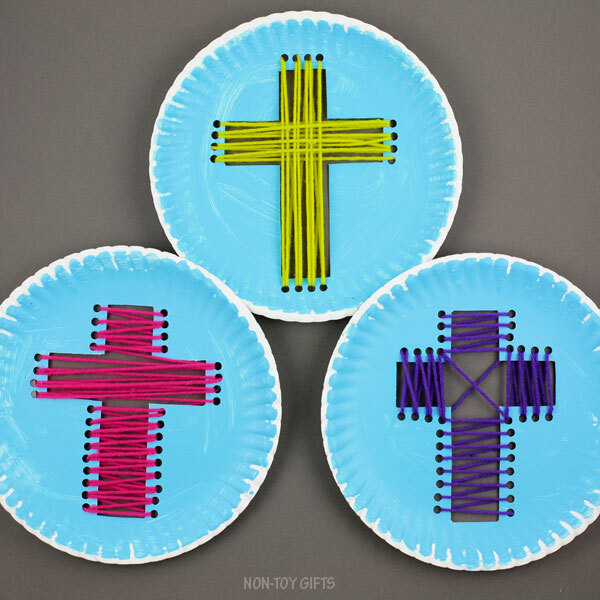 This Easter cross craft leaves a lot of room to creativity. 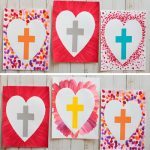 Your child can chose any paint and yarn color as well as yarn pattern. 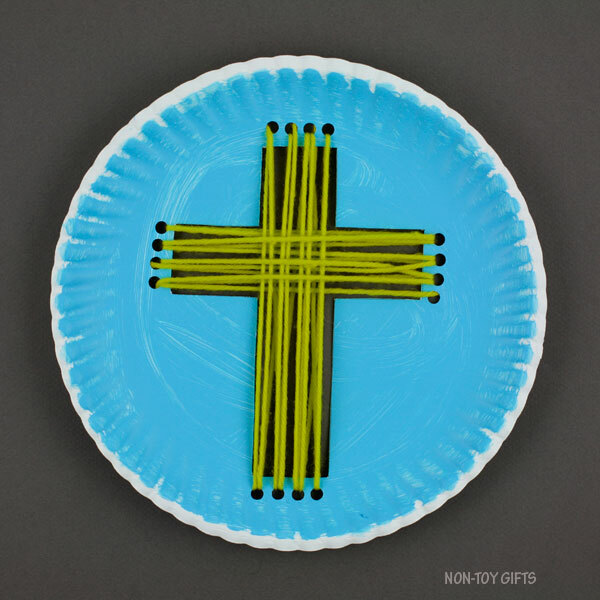 This is a good opportunity to talk about colors: which are the primary colors, different hues. What colors make a good match and which don’t. We have tried three yarn threading patterns. 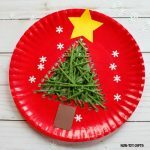 Start by painting the paper plate and set it aside to dry completely. 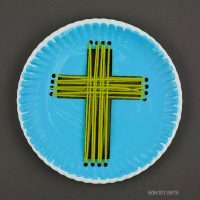 Download the cross template (find it at the end of the article), cut out the cross and trace it in the middle of the painted paper plate. 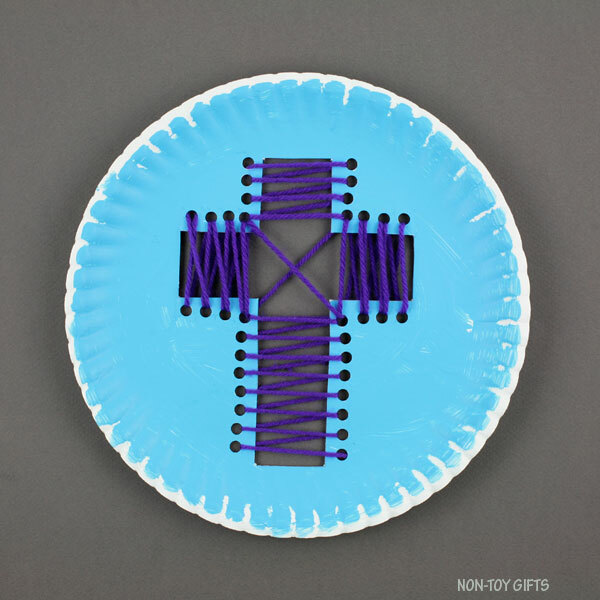 Use a hole punch to make holes along the four ends of the cross. 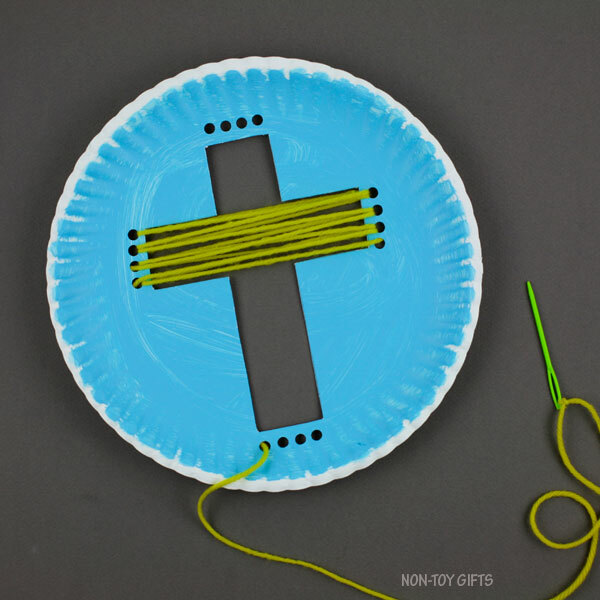 Cut a strand of yarn, thread it through the plastic yarn needle and tie one end to the needle. Tape the other end of the yarn at the back of the paper plate. 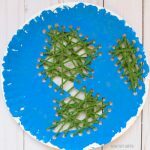 You can now start threading the yarn through the holes in the paper plate. You can go through the holes one or several times. Keep on threading until you reach the end of your yarn. 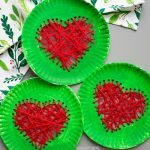 Secure the end of the yarn to the back of the paper plate with tape. We started with the crossbar and then moved to the vertical part. Kids can intertwine the yarn or not, depending on their age and patience. 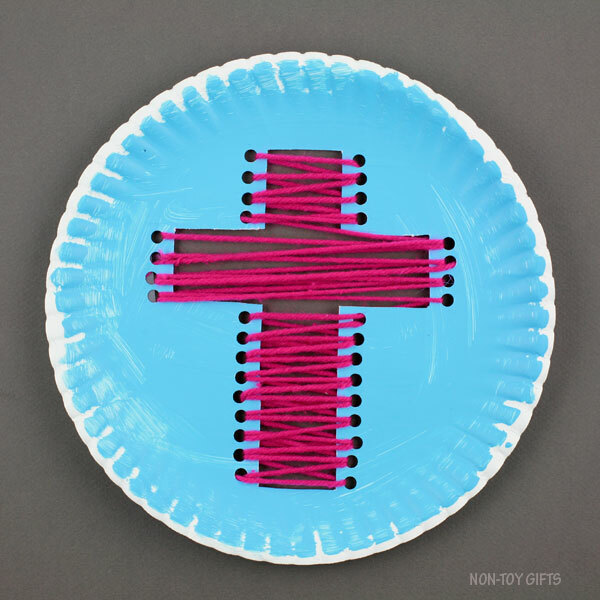 A beautiful paper plate and yarn cross craft for Easter. We started with the crossbar and then moved to the vertical part. Kids can intertwine the yarn or not, depending on their age. 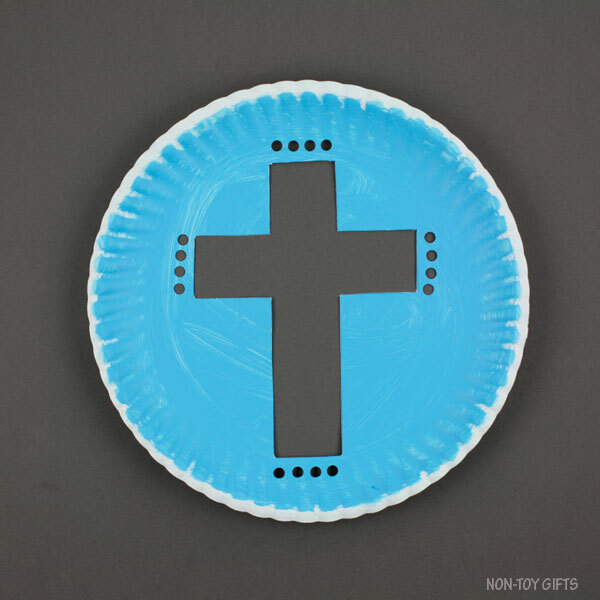 Sign up for our Newsletter and get this Paper Plate Cross Template as a thank you!